I love Cindy and have enjoyed her books so much, so when this came out, I wanted to read it and review it. Unfortunately, I'm not going to have a chance to read it until probably late summer because of my writing deadlines, so I asked Savannah if she'd read it first and share her thoughts. She agreed. 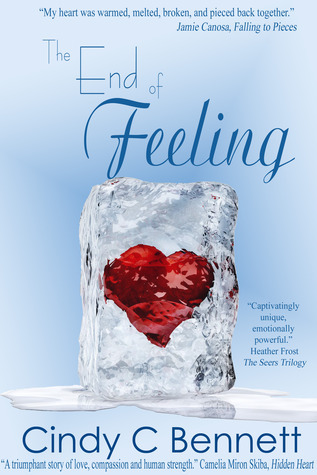 The End of Feeling was a great book. I stayed up way too late finishing it. (I can attest to this. I asked her to turn off the light several times and she kept promising she'd just read a little more.) It was a great story about teenagers becoming mature learning about themselves. I liked how the characters became confident and overcame their challenges. I really liked the romance between Benjamin and Charlie and how they helped each other become better people. I'd totally recommend this book. I'm looking forward to having time to read this myself. Great job, Cindy.